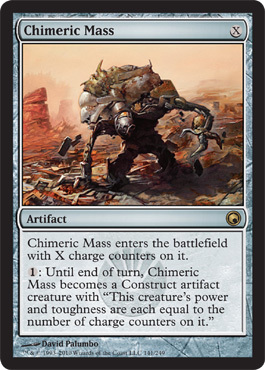 card text: Chimeric Mass enters the battlefield with X charge counters. 1: Until end of turn, Chimeric Mass becomes a Construct artifact creature with ?This creature's power and toughness and toughness are each equal to the number of charge counters on it. ?